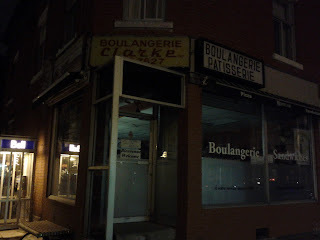 Back in February, I decided to go a little further north on Saint-Laurent and walked all the way to Saint-Viateur. I took a few pictures but didn't really go far since it was getting late and I had to head home. Last week About a month ago, (yeah, I've been busy ok? So sue me if this post is late.) 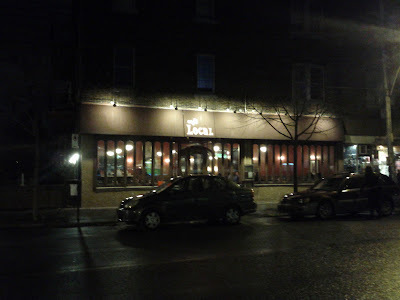 I went back to Saint-Viateur and decided to check it out all the way to Avenue du Parc. I found another bunch of great little spots there as well. So here goes. 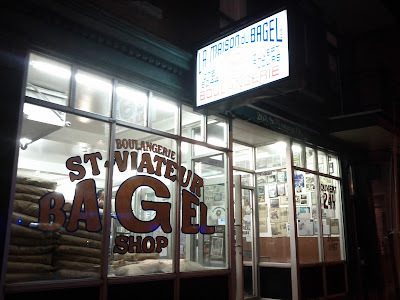 If you've ever been grocery shopping in Montreal, you probably saw some locally made bagels from St-Viateur Bagels. 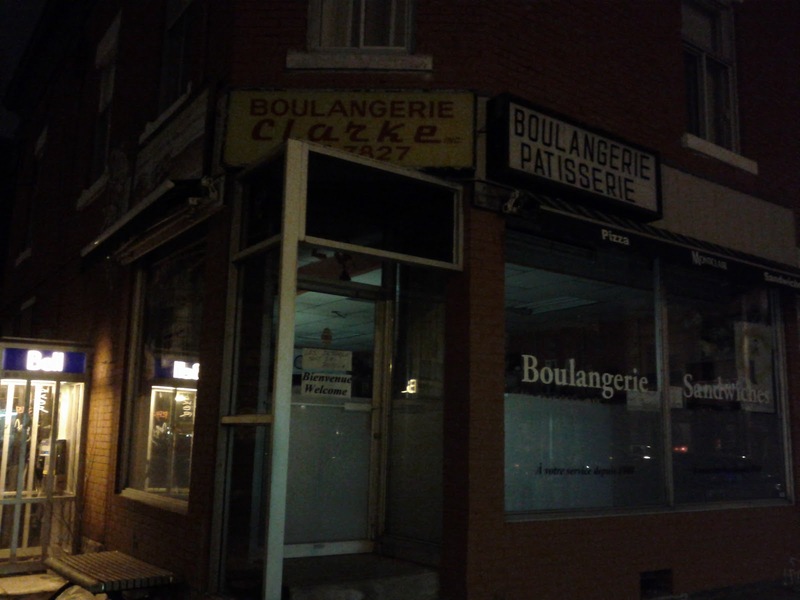 Just like the Fairmount bagels these guys have been on St-Viateur street since the late 50's. They have become a true Montreal establishment and their bagels are being sold across the city. Made fresh everyday, they don't last very long and they are meant to be eaten pretty fast or they go stale and become hard as a rock. My advice is to eat them within 3 days. But, they are simply delicious. 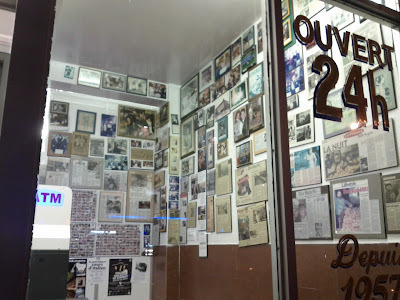 It was fun passing in front of their shop and seeing all the historical newspaper clips and images. It also smelled like fresh baked bagels. Mmmm... Oh and for any of you 'Murricans reading this, they also ship to the U.S.! This area seems to be all about the home made or locally made foods. 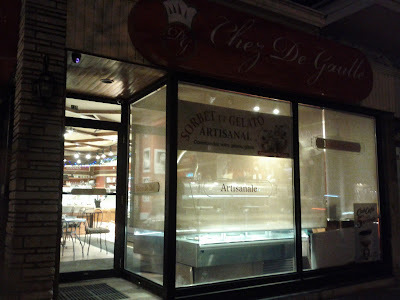 Not too far from there was a little bakery that also made their own sorbet and gelato. Probably a great place to get ice cream during the summer. I will have to check it out now that it's warmer outside. Just a few steps from that bakery is a French crêpe restaurant called La Crêpière. A small little restaurant where you can go and have a quick sweet crêpe covered in sweet chocolate syrup and fruits or a salty one wrapped around some meat and vegetables and cheese as a warm lunch or dinner like a crêpe campagnarde with ham, cheese and mushrooms. It makes my hungry just thinking about it. 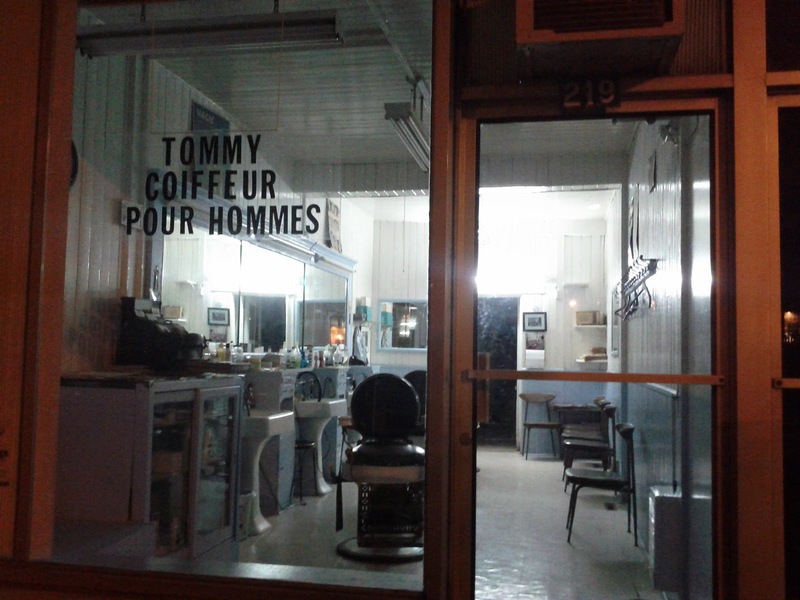 And then right next door is an old super classic retro barber shop that looks like it just came out of the 50's. 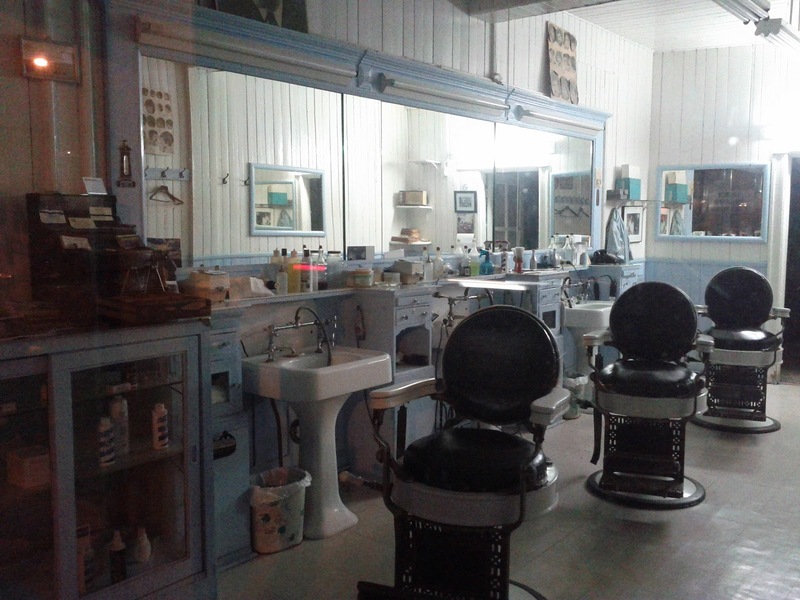 Actually, according to the very few comments I've seen on some consumer review sites, this place has been opened since the 50's as well, and the old man apparently gives great haircuts! 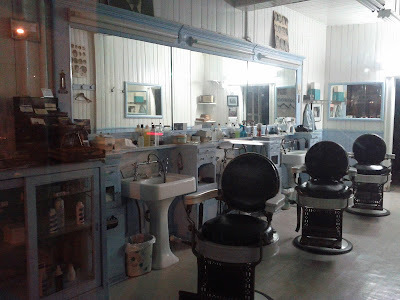 I'm usually really fussy about my hair, but it would be such an experience to go there and get an old fashion man's hair cut. I don't think I would get a shave though. I don't trust anybody with one of those sharp shaving blades. And god knows how they disinfect these things. But, for a haircut I bet it'd be fun. Just across the street from there is Café Local. Apparently this place is very popular. Especially with the locals. I also heard they have 40 different types of martinis and many local artists go to hang out. Their food seems to be getting good reviews. They serve a pulled pork poutine that seems like an absolute dream. The place has a friendly cozy environment that doesn't feel too pretentious. 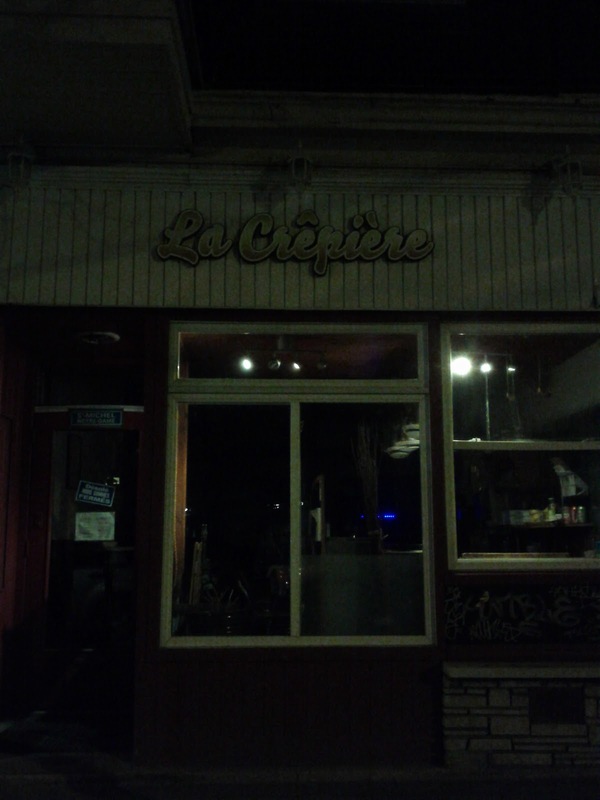 I have a feeling I will be stepping in there soon to try out that poutine of theirs. Just a block from there is also the Café Olimpico. 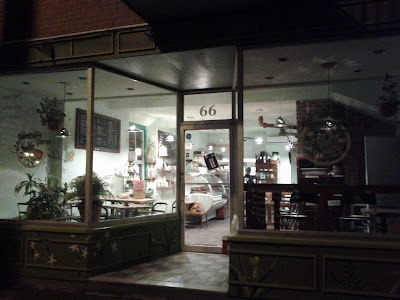 This place is one of Montréal's classic Italian café. Sadly, I didn't take a picture, but it is absolutely worth mentioning. 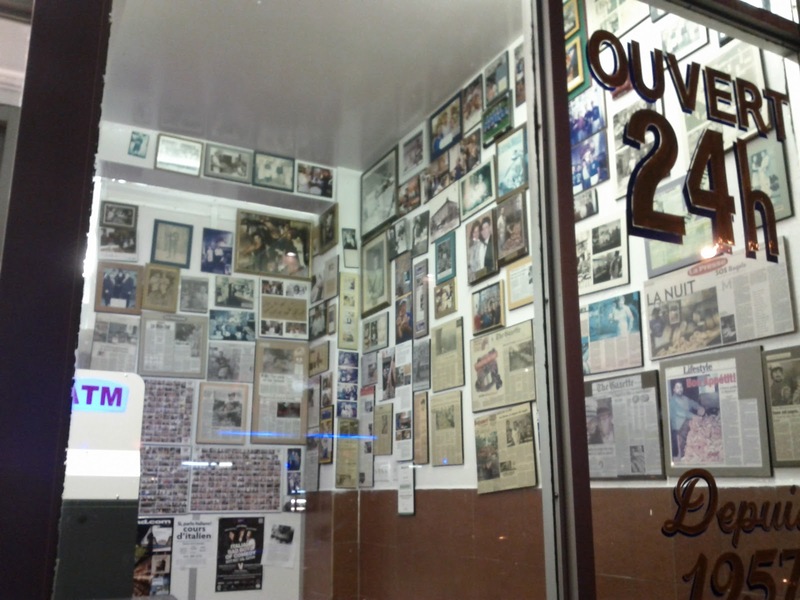 This café probably serves one of Montréal's best espresso and best cappuccino. It's also the place you want to go to watch the FIFA world cup and want to cheer the Italian soccer team. This little sports café is a great little place to hang out with friends and relax while watching the game. There's also a nice little terrace on the side to catch some sun during the summer. If only I had taken a picture. As any other Montreal neighbourhood, there is a lot of street art in this place as well. This has to be one of the things for which I absolutely love my city. 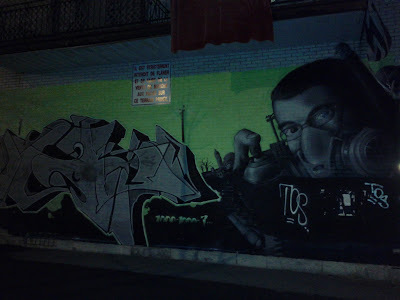 Street art has a thing that some other art doesn't. Some kind of soul. It contains the very spirit of the city itself. I always like to stop and look at the works of art that we find everywhere on the walls in the many burroughs of Montreal, each representing the essence of that area. 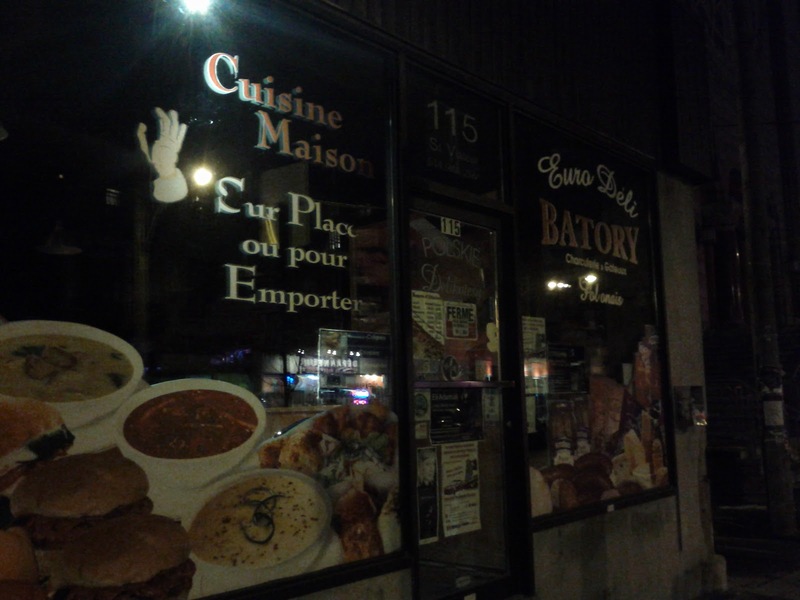 Another little place that got my curiosity is this restaurant called Batory. They have home cooked meals on the spot and for take out. It's a little deli place that serves sandwiches and soups and a few hot meals. Sometimes it's just nice to have some food that feels and tastes like a home cooked meal. I bet this would be a good place to go for that sort of thing. I also found another restaurant that specializes in breakfast and brunch called Restaurant B&M. Breakfast is probably my favourite meal of the day. This place seemed to have a great menu. The prices were a little high, if I remember. 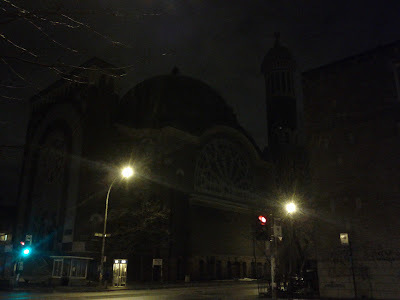 On Saint-Viateur there's also a gigantic church called St-Michael Church. It's a Greek Orthodox church and it just seems massive! I've always noticed this place from afar, but never really got around to get close to it. It's a beautiful church and when you stand next to it it just seems even bigger. It's no Notre-Dame Cathedral, but it still dwarfs all the other buildings around it. Among other things, places like the Mile-End, Plateau and the like all seem to have a large vegetarian or vegan population. (Compared to other areas anyway.) So to cater to these folks, you will always find one of those super-vegan ultra-organic restaurants for these granola-eating hippies. (I'm kidding, you guys are alright!) And this place here is La Panthère Verte (The Green Panther). A small little vegan café that serves delicious fresh vegan meals. Sometimes when I want to eat light, but still stuff my face, I like to go to one of these places and pig out, yet come out of there feeling like a cloud. It's fantastic. I also don't feel so guilty afterwards. Also, there are some new places that I hadn't seen before. Comptoir 21 is one of them. It's a small restaurant specialized in fish n chips. It looks like a nice place and I've heard good comments about the place from friends. 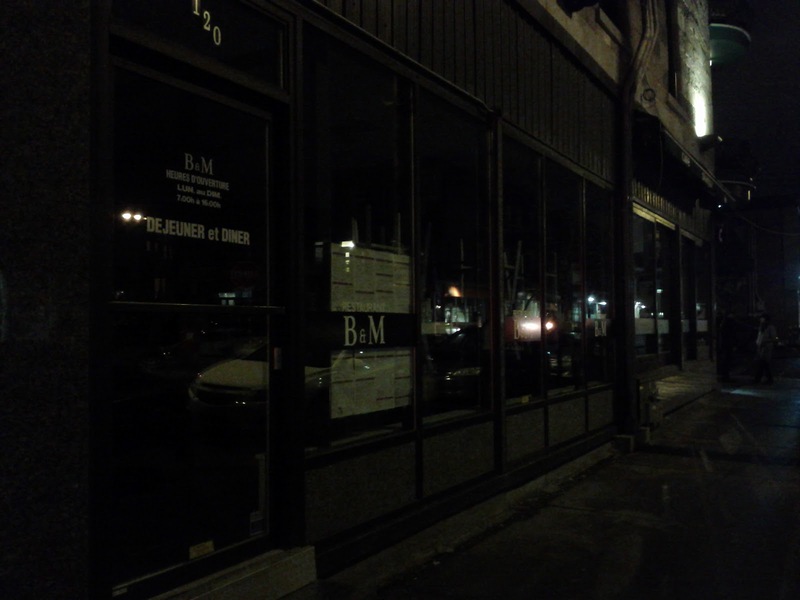 My favourite fish n chips restaurant in the city is by far Brit n Chips on McGill street. 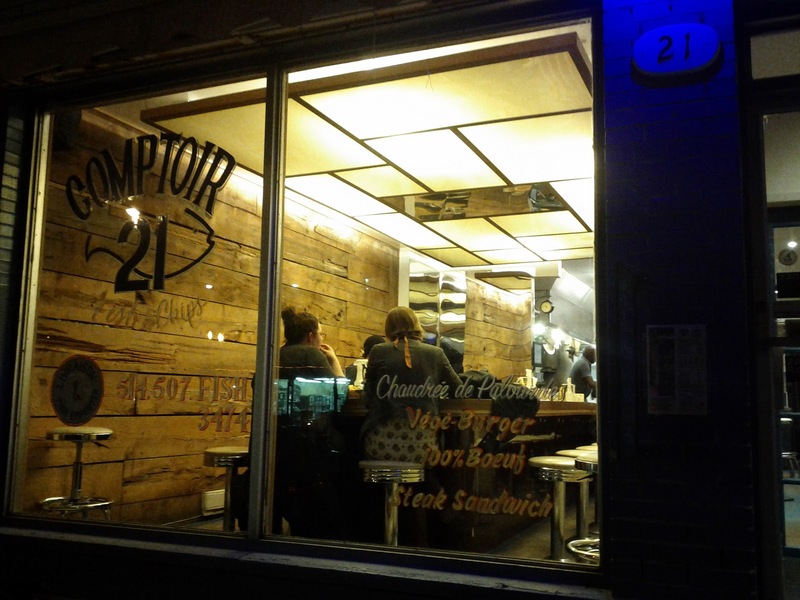 But, I've never been to Comptoir 21. This is another place I'll have to try out eventually. Finally, on the corner of St-Viateur and St-Laurent is the Bar Waverly. A very cool looking bar that had great music and seemed to be filled with lots of young people from the area. With Ubisoft right across the street, I bet this is a great place to hear about any secrets and gossip on upcoming Ubisoft games. Sadly, I didn't take a picture of the place because there were a lot of people standing outside and I didn't want to be a jerk and take a picture of them all to post publicly. But, I guarantee the place looks really nice. I would love to go there to get a drink sometime. Anyway, that was my walk along that street. There are a few more things there to see but, I only took pictures of the places that got my attention. 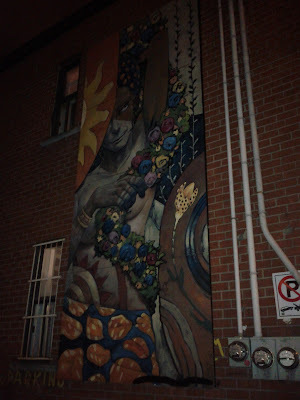 The Mile-End is an awesome area with great restaurants, shops and some ethnic grocery stores as well in case you're looking for some special ingredients or foods. Frankly, I think I would love it there, but I need to have a big pharmacy and grocery store close by or else I feel a little stuck. That's mainly why I stay where I am right now in the good ol' ghetto of Hochelag'. With the Angus shops Loblaws and Provigo and Metro and Pharmaprix and Jean-Coutu pharmacy all within walking range or a minute away by car, I feel like I have everything I need at my disposal. And the rent is still cheap enough too. Mile-End? Not so much. But, it's still not as bad as the Plateau. Yet.